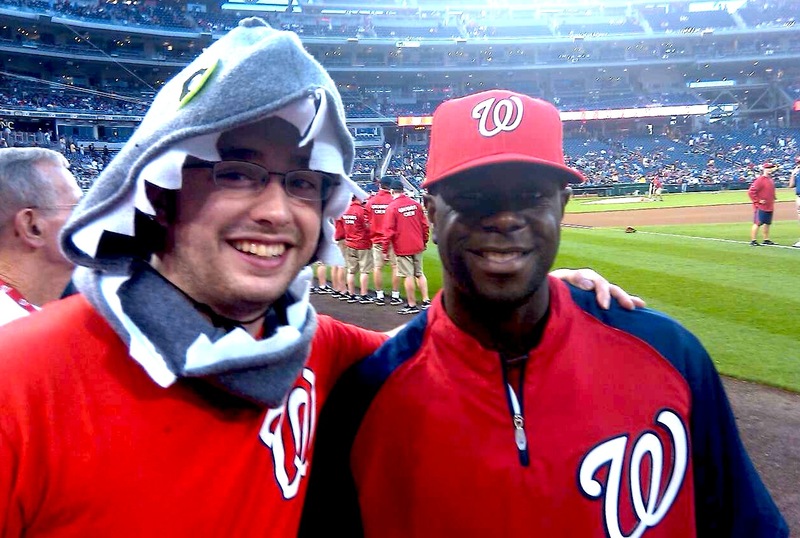 In a situation similar to the April 3rd game, the game was delayed by renegade Shark fans trying to build a pool on the field. The rain supposed to come through in the 5th but The Shark wasn't digging it so he snapped his fingers and it stopped. On the mound, Tom Gorzellany was strong through 6.1 innings, allowing only a run on 4 hits. THE SHARK came in defensively in the 7th as well and led off the bottom of the inning with a single. He came up in the 9th as well against K-Rod and cracked a double to left. That's half the Natural Cycle! Unfortunately, the Mets scored 4 in the ninth to seal the win 6-3. As I mentioned earlier, Tyler will be posting more on the game later tonight so be sure to check back. "Ain't no one in this section got enthusiasm except for me... and my shark boys" - drunk lady behind us at the game. "thank you for entertaining my son's first game" - lady in front of me with the infant who enjoyed my jaw chomping.